The best way to test the cognitive development of an adolescent is to go to a clinical psychologist or neurolpsychologist and have their IQ tested. However, in lieu of that route, there are ways to check the developmental progress of teenagers at home. Begin by using your preset list of vocabulary words. Ask your child to define each word to his or her best ability. Give a score of 2 points if the word is clearly defined and 1 point if the definition lacks in-depth understanding. Ideally use 10 to 15 words of varying difficulty. Test nonverbal problem solving skills by observing your child putting together one of the preselected puzzles. Observe their use of strategy. Record such observations as whether they tend to use trial-and-error versus part-to-whole reasoning, such as completing the border of the puzzle first. Check your child's working memory using the deck of cards. Start by randomly pulling out two cards and read them aloud to your child and then ask your child to repeat it back to you, number and suit. Gradually work your way up to nine cards at a time. Then, repeat the exercise having your child repeat the selected cards in the reverse order. Record your child's longest correct span for forwards and backwards. Assess processing speed by timing your child doing a verbal and nonverbal task. For verbal skills, time them doing a moderately difficult crossword puzzle. 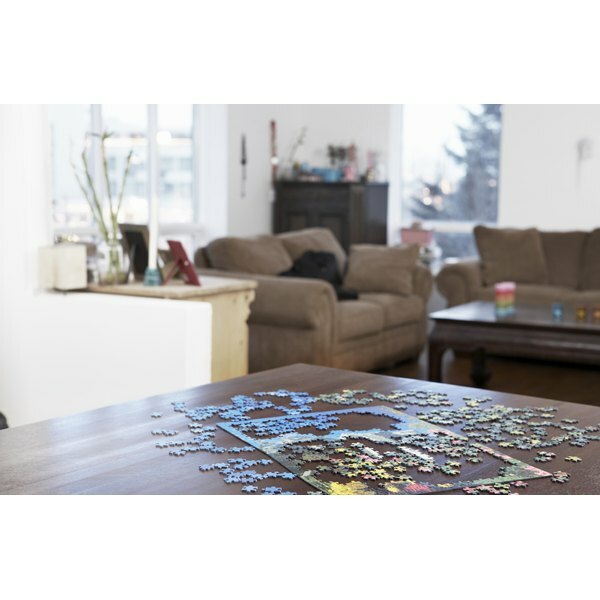 For nonverbal skills, time them completing a 50- to 75-piece puzzle. Since you do not have normative data by which to compare your child's testing to others in his or her cohort, a good way to use your results to check cognitive strengths and weaknesses lies in comparing and contrasting your child's performance on each task. Check for large differences in percieved difficulty, as well as time of nonverbal versus verbal task completion. Remember that these steps are not a substitute for a thorough cognitive evaluation. If you feel your child needs testing to determine intellectual aptitude or to diagnose a learning disorder, please contact a licensed clinical psychologist or neuropsychologist. Nicolle Napier Ionascu began writing in 2007 for publications such as "Charlotte Parents Magazine." She is a professor and clinical psychologist near San Francisco. She holds a Bachelor of Arts in English from the University of California at Berkeley and a doctorate in clinical psychology from the Wright Institute of Professional Psychology.